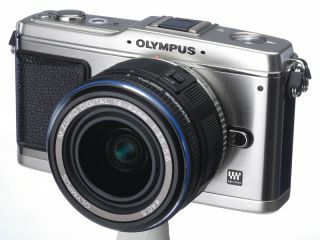 Olympus CEO Michael Woodford was sacked on Friday due to a "culture clash", but Woodford claims serious wrongdoing. Speaking to Channel 4 news last night, Woodford claimed that excessive payments had been made to a company in the Cayman Islands, something which Hisashi Mori, executive vice-president at Olympus denies. Meanwhile, Olympus shares have been tumbling following the announcements, falling by 42% since Friday. This is an equivalent of $3.2bn from the market value. It had only been two weeks since Woodford was promoted from President to CEO, though he had been working at the company for 30 years. After the sacking on Friday, Olympus stated that Woodford had "largely diverted from the rest of the management team in regard to the management direction and method and it is now causing problems for decision making by the management team." Woodford claims that he was sacked after raising questions over $700million worth of payments made between 2006 and 2008 as Olympus acquired other companies. Olympus now says that it may bring legal action against Woodford for his claims, something which he told Channel 4 he would welcome. "If they would like to come to London, to the High Court, and go through this, then I'd be more than delighted, I'd relish it, please serve the papers on me tomorrow, please do it, I would love that," he said. Yesterday afternoon, Woodford handed a file of allegations to the Serious Fraud Office in London. Woodford remains as a Director for the company, as only shareholders can strip him of this title at the Annual General Meeting next year. Stay tuned for more updates on this story as it unfolds.